Find out what The Mountaineers are all about and enjoy a special presentation from one of our members. 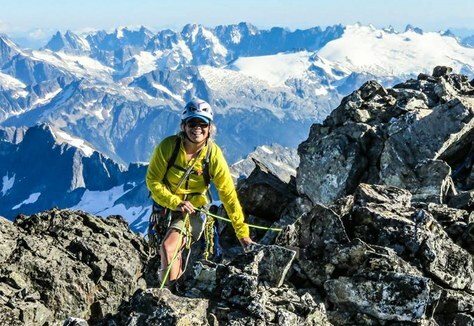 Meet fellow Mountaineers and learn how to get involved in our courses and activities, then stay for our feature presentation by Tacoma Mountaineer and peak bagger, Julie Myer. 6:30pm - Leaders and representatives from our activities will be on hand for an informal social hour to answer your burning questions and show you how to get involved. We have many courses starting up in the very near future - from Scrambling to Sailing, Kayaking to Hiking, you can trust The Mountaineers to get you outdoors! 7pm - Our 30 minute formal presentation will introduce you to the history and mission of The Mountaineers, the courses and activities we offer, and the great benefits you'll receive when you join our community of adventurers. Julie Myer, a Tacoma branch climb leader and peak bagger, successfully completed the “Rainier 100” in September 2015. The Rainier 100 include seven climbs, 78 scrambles, and 15 hikes that are within and immediately adjacent to Mount Rainier National Park. Her initial efforts focused on completing the 24 Irish Cabin Peaks, a Tacoma Branch tradition. She found inspiration and direction from the Guide to 100 Peaks at Mount Rainier by Mountaineers members Mickey Eisenberg and Gene Yore, and from Peakbagger.com. In 2013, she completed 21 climbs, then did 44 in 2014, and 16 in 2015. The adventure stories she will share include: cold, late night summits of Tokoloo Rock and Andrew Benchmark, a near emergency bivouac on Third Mother Mountain, early season spindrift on Banshee, a glorious loop to complete Old Desolate, Crescent, and the Sluiskins; and finally #99 and #100 —the wettest and most miserable of all! Hear these stories and others highlighted through photos, maps, and stories.